The Theory of Knowledge course is not a philosophy course, but throughout your programme you will be confronted with philosophical questions and issues. When we question what knowledge is, we will undoubtedly stumble upon the question 'What is truth?' Even though there may not be a satisfying catch-all answer, different theories tempt to offer a response. The coherence theory, correspondence theory and pragmatism each offer some attractive suggestions, but none of them are entirely satisfying to the critical mind. Even though we should steer away from overly relativistic interpretations of knowledge and truth, Václav Havel's words contain a lot of wisdom: "Keep the company of those who seek the truth, and run away from those who have found it." As this website illustrates, our ways of knowing each have strengths as well as limitations as tools to gather knowledge. As Richard van de Lagemaat points out in his TOK textbook, language can be a tool for communication as well as deception. What we perceive through our senses can be considered evidence, or merely an illusion. Reason may lead to logic, but also to logical fallacies. Our intuition can give us immediate insight, but it may also lead to prejudice. Memory seems to give us access to the past, but what about false memories on a personal as well as shared level? Boundaries between creative imagination and pure fantasy may be blurred. Our gut feelings can give us emotional knowledge, but emotions can distort other ways of knowing. A healthy dose of trust and faith may be desirable in some situations, but dogmatism is dangerous. History has shown that gullible masses are capable of committing atrocities when they fail to critically evaluate knowledge claims. Sociological experiments such as the Milgram experiment have highlighted the problems with authority worship and we should be particularly careful when someone claims s/he has found the answers to all our problems and critical quests. As Raphael's painting 'School of Athens' demonstrates, philosophy is a discipline in which debate, discussion and contradiction are central. It is impossible to offer a perfect or ultimate philosophy that answers all our questions. This page will offer you brief introductory videos and sources on the topic of philosophy. Students are encouraged to explore the philosophies of the world's greatest thinkers independently and critically. The Stanford Encyclopedia of philosophy is a brilliant starting point for further research and the BBC history of ideas page offers excellent short video illustrations of some great philosophies. Finally, even though most philosophers of this webpage belong to 'Western cognitive paradigms', one should not forget the importance of exploring a range of knowledge communities. The field of Indigenous Knowledge may lead us to drastically different but equally valid theories of knowledge. Plato's cave allegory and its modern adaptation in 'The Matrix'. We all construct some sense of reality based on what we get to know about the world as human beings. Our knowledge community shapes our thought and much of what we know has been passed on, for generations, through language. We use our senses to interpret the world around us. The information we gather is processed by our human brain and we use inductive as well as deductive reasoning to do so. We often resort to emotions as well in our search for knowledge, even if we are not always conscious of this fact. Individual as well as collective memory is the basis of much of what we know and we may even gather new knowledge through our creative and imaginative ability. Intuition (and animal instinct) can be a very useful knowledge tool and we also resort to faith as a way of knowing, albeit in varying degrees. Human beings have undoubtedly had an interesting history when it comes to the search for knowledge. Cognitive paradigms have shifted dramatically over the centuries and one could argue that with evolving technologies and needs, the focus of our philosophical quests will shift. As human beings we are curious as to what is really out there. Nevertheless, we are also limited to our human bodies and minds. We may consider ourselves to be intelligent, but some concepts are extremely difficult to grasp. In addition, we only have a couple of senses and these senses are not always very well developed (one simple comparison to the animal kingdom confirms this). How would we 'know' if we had other senses? If we were more intelligent? For centuries philosophers have discussed these human limitations in the search for (the) truth. Plato explained this notion in his famous cave allegory. The cave allegory remains relevant today and is well worth exploring in more detail. Many cultures and knowledge communities have variations of this allegory, as the 'human limitation' is something that binds us all together. However, does this mean that we should abandon the quest for truth all together? Is there no such thing as 'the truth'? "Men occasionally stumble over the truth, but most of them pick themselves up and hurry off as if nothing had happened." "Beauty is truth, truth beauty,' - that is all ye know on earth, and all ye need to know." "All credibility, all good conscience, all evidence of truth come only from the senses." A brief introduction to some philosophers whose ideas are relevant to TOK. Hugely important ancient Greek philosopher who studied at Plato's academy. His writings talk about logic, politics, ethics, aesthetics and rhetoric and consequently touch upon many areas of knowledge as well as ways of knowing in TOK terms. Descartes was a 16th-17th century French mathematician, natural scientist and philosopher. He developed new ideas applicable to mathematics and natural sciences. He is most famous for his phrase 'Cogito ergo sum.' [I think therefore I am]. An 18th century German philosopher who places much emphasis on human autonomy. He was massively important and influential. His moral theories (see ethics page) also draw upon the notion of human autonomy. According to Kant, our moral duties are based on this principle and the moral law is a product of reason. Hume was a 17th century British philosopher. He was also a historian, which is interesting from a TOK point of view. Today, he is seen as one of the precursors of cognitive science. Hume also developed a moral philosophy. A 19th century German philosopher who challenged the religious discourse of the time. He offered a life affirming philosophy which has inspired artists, authors and political revolutionaries. Together with Kierkegaard he is seen as a founder of existentialism. In TOK terms, Nietzsche is particularly relevant when we touch upon faith as a way of knowing and the importance of The Arts as an area of knowledge. A 19th century Danish philosopher who is considered to be the 'father of existentialism' (those who study Camus and Sartre will come across this idea). His ideas touch upon literature, psychology, politics and faith. A 19th century philosopher who drew his inspiration from Plato and Kant. He made some interesting reflections on music, art and literature and his philosophies often attract those who are looking for the meaning of life. An important yet controversial 20th century philosopher. In terms of Theory of Knowledge, it may be worth exploring his ideas on language and logic (reason) as ways of knowing. Foucault is a critical thinker who made some very poignant observations on discourse theory and power structures. His literature on mental illnesses and institutionalisation raise many TOK issues as well. In line with the notion of 'recognising perspectives' it is worth exploring philosophies and theories of knowledge from around the globe. 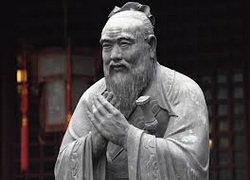 All too often students and teachers tend to forget about Eastern and African philosophies. Below you can see some brief introductions to such theories of knowledge.